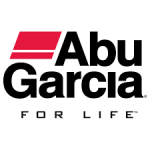 Abu Garcia is a subsidiary company of Pure Fishing, Inc. The company sells fishing gear and supplies on its official online store. You can buy different types of reels, rods, combos, apparel, tools, angler sets and more. You can buy specific fishing kits for certain types of species. You can also shop for the right equipment based on your fishing skills and how you would want to deal with the tactical challenges. There is free shipping for all orders worth over $50. Abu Garcia is an authority in the niche of fishing and the website sells premium gear, tools and essential supplies.